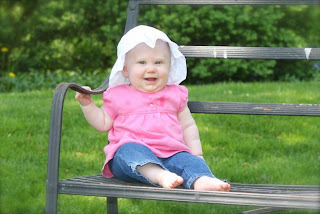 Only 3 months later, we were able to do her 6 month pictures outside in the gorgeous weather and the beautiful scenery. 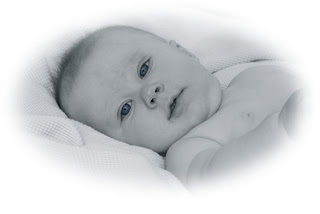 It's amazing how much babies grow up in such a short amount of time! She was so engaging, so happy and able to sit up all on her own. 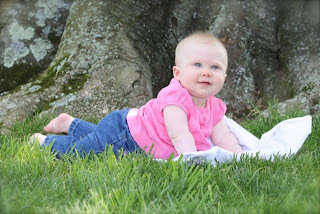 This was one of the most fun photo sessions I've done -- this baby girl is ADORABLE (personality and appearance)!! 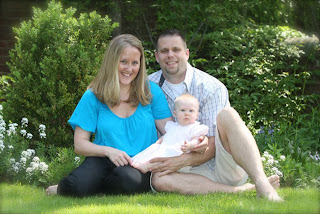 Thanks to her wonderful mom and dad for letting me capture this phase of their beautiful journey as a family!